An overview of all Netflix Crime Dramas movies and series. 202 titles were found. This overview contains all Netflix Crime Dramas movies and series. Netflix's content is updated with several new Crime Dramas movies and series every month. Currently, the best rated title in this category, with a rating of 4.45, is The Godfather. After being falsely imprisoned, a vengeful murderer covers his tracks by enlisting the help of a baker whose meat pies become the toast of London. A young teacher has a brush with the supernatural at a subway station where a police officer is found murdered the following day. 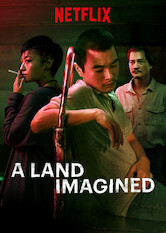 As unemployment, drug addiction and corruption plague a society, this drama depicts the people who believe there’s still good in the world.